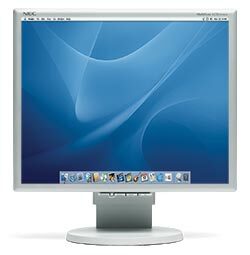 If you opt for the Mac mini but don’t have a spare monitor at home, you’ll need to buy a display. Fortunately, you can get a perfectly decent display—one that you can also use to watch TV and movies—at a reasonable price. Here are some of our favorite affordable monitors. Cons: Few bells and whistles. Pros: Inexpensive; integrated speakers and USB hub; complements the Mac mini. Cons: Color shifts when viewing the screen from an angle; no height adjustment; can’t swivel or pivot; small text appears fuzzy. Pros: Height-adjustable stand; analog and digital inputs; can pivot to portrait mode. Pros: Inexpensive; adjustable design; adjustable height; good text quality; accurate color out of the box; includes DVI and analog cables; 4-port USB hub.